I was ordained on the Feast of St. Thomas the Apostle, and it’s probably just as well because, like Thomas, I often find myself vacillating between great faith and frustrating doubt. That is why, despite desperate attempts to the contrary, I simply cannot pray the Collect for St. Thomas without a huge side-eye. St. Thomas’ most famous New Testament episode takes place a few days after the Resurrection when he misses Jesus’ first appearance among the Disciples who were holed up in the Upper Room. We aren’t told where Thomas was; only that he wasn’t with the others. When the other ten disciples told Thomas what had happened, Thomas famously said, “unless I can touch him, I will not believe.” A week later, the Disciples, not satisfied with having seen the Resurrected Lord once, were still locked in the Upper Room when the Lord walked through the wall. This time Thomas was with them. Jesus’ response is one of great importance. He invites Thomas to touch him. Too often we read this statement as an indictment against Thomas. Maybe it was. But what if it wasn’t? What if Jesus was affirming Thomas? What if Jesus was willing to do what must be done in order to help Thomas lean into his doubt in order to midwife a deeper sense of faith? What if Jesus enters our own spaces of doubt in order to invite each of us into a deeper relationship. I have worked with children long enough to know that children ask a lot of questions. Unfortunately, the wonder that seems natural for children is squeezed out of us as we age by a world in search of quick and easy answers. Against this temptation, I hear Jesus’ famous words, “unless you have faith like a little child you will never enter the Kingdom of Heaven.” Jesus invites us into wonder and questioning. Holy Scripture is nothing if it is not filled with wonder. Giant fish. Walls of water. Burning bushes. Talking donkeys. Choirs of angels. Great dragons. What would happen if we read scripture as a family and suspended disbelief long enough to enter the new world presented in the text? What if we engaged the written Word of God, not as something meant to be swallowed whole, but as a sumptuous morsel of the Kingdom of Heaven meant to be savored and enjoyed? 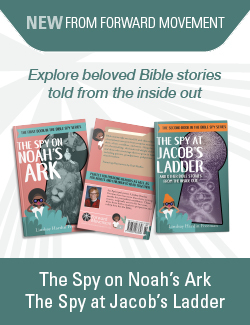 Pick a story like the Exodus or David and Goliath. Read it. Enter the words. Explore them. Pick them up. Inspect them. Play with them. Draw. Act. Sing. Have fun. 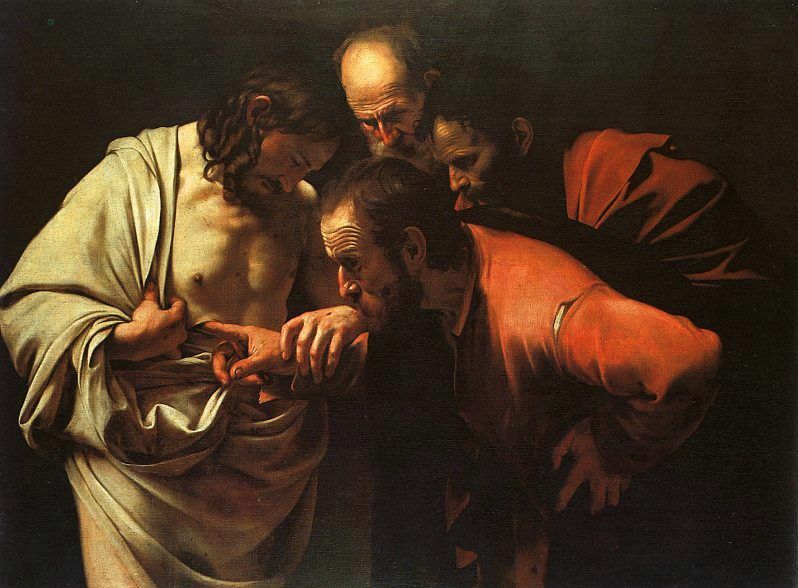 Thomas stuck his finger into the wounds of Christ and so believed. Perhaps we are called to enter the Words of Christ and do the same, not by ignoring doubt, but by hearing the call of God to go where we have never gone before. Almighty and everliving God, who strengthened your apostle Thomas with sure and certain faith in your Son’s resurrection: Grant us so perfectly and without doubt to believe in Jesus Christ, our Lord and our God, that our faith may never be found wanting in your sight; through him who lives and reigns with you and the Holy Spirit, one God, now and for ever. Do you hear Jesus’ words to Thomas as condemnation or appreciation? Or both?